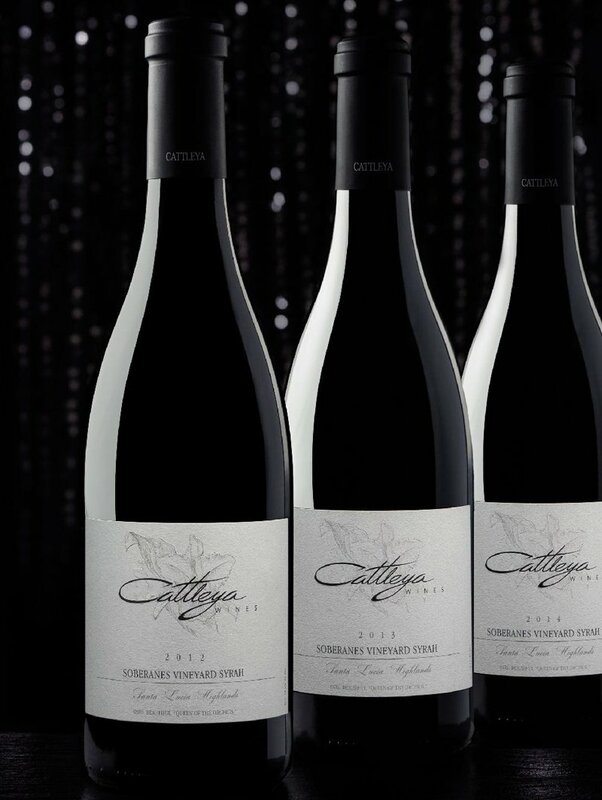 Two bottles each of the 2014, 2013, and 2012 vintages in a Cattleya wood box. The 68-case 2012 Syrah Soberanes Vineyard is a riper, rounded effort that has gained incredible complexity and depth since I tasted it on release. It offers lots of ripe black currants, black raspberries, peppery spice, game, and pencil lead characteristics in a rounded, opulent, sumptuous style that just begs to be drunk. This is just starting to show some evolution, but it gets better and better with time in the glass, has a Jamet-like complexity, and a great finish. Enjoy this beauty anytime over the coming decade or more. Wow, the 2013 Syrah Soberanes Vineyard is holding onto your hats good. Deep, inky, concentrated and impenetrable, with a massive mid-palate, it has primordial notes of graphite, crushed rocks, burning embers and loads of black and blue fruits. I saw potential in this when I tasted it a few years ago, but wow! Forget bottles for 2-3 years and drink over the following decade or more. There’s 115 cases produced. The inky colored 2014 Syrah Soberanes Vineyard is just drop dead gorgeous, and I suspect the greatest wine made to date from this site. Deep ruby/purple-colored, with liquid violet, black raspberries, cassis, graphite, and hints of charcoal, it hits the palate with sensational depth of fruit, full-bodied richness and a layered, multi-dimensional texture that keeps you coming back to the glass. Nevertheless, it’s shut down slightly since I tasted in on release, and I suspect it’s best forgotten for a year or three. There are just 115 cases made, don’t miss it!